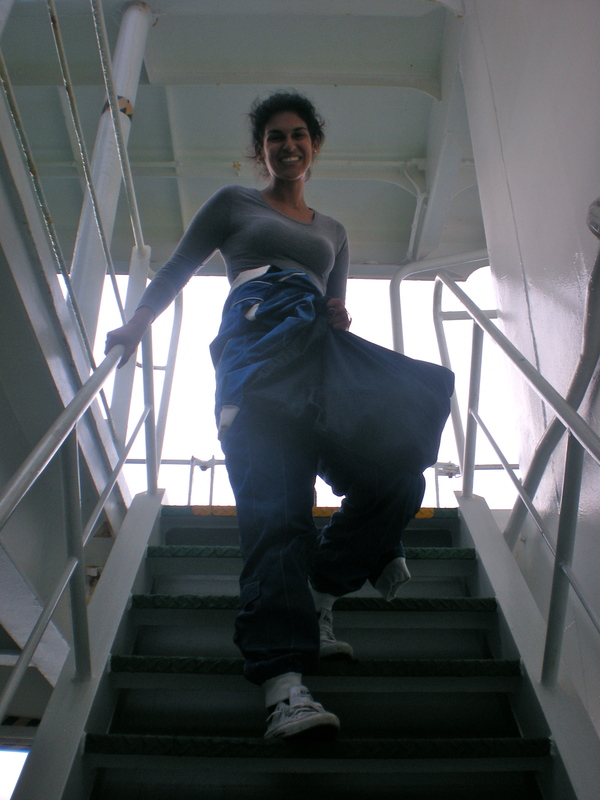 This was my first research cruise! 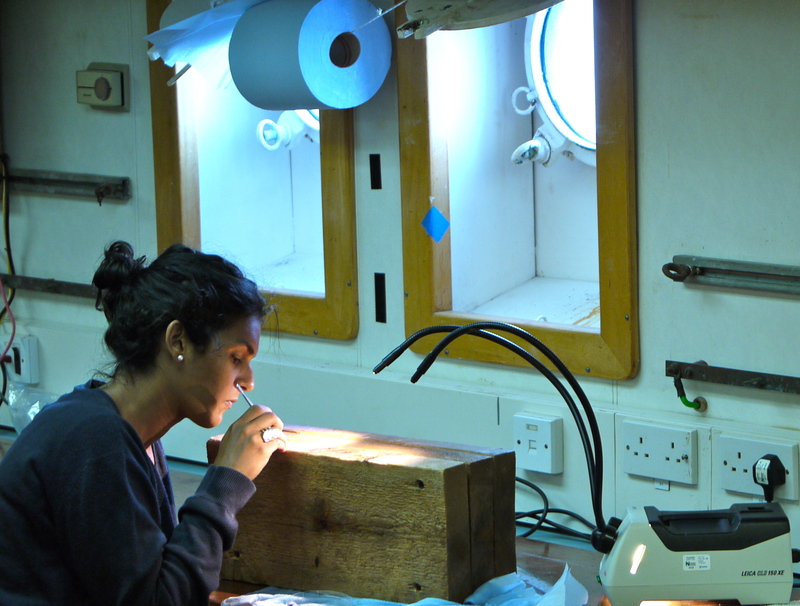 For 32-days, we focused on exploring the Mid-Cayman Spreading Centre in search of chemosynthetic habitats. 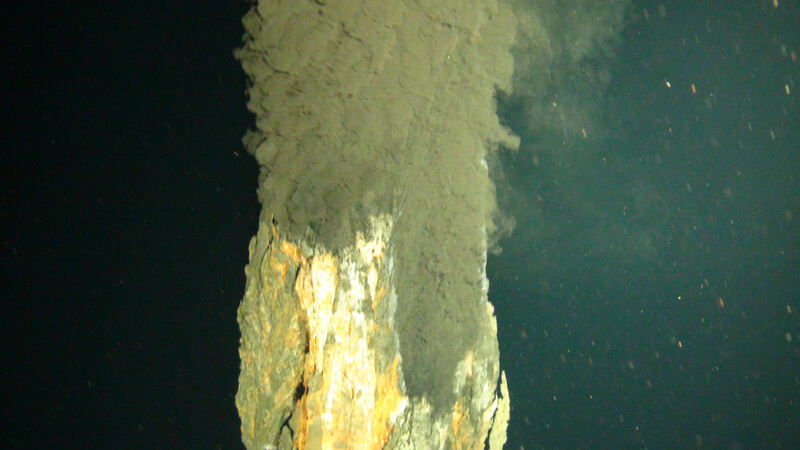 The world’s deepest hydrothermal vent field, Beebe Vent Field, was discovered during this cruise (4960m), as well as a shallower vent field, Von Damm Vent Field (2300m). 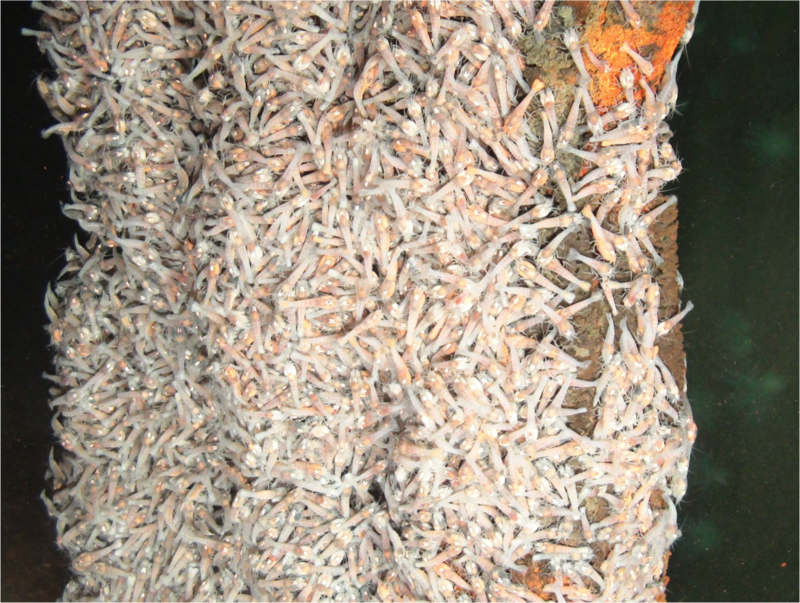 There were also multitudes of new species observed at these new vents sites. 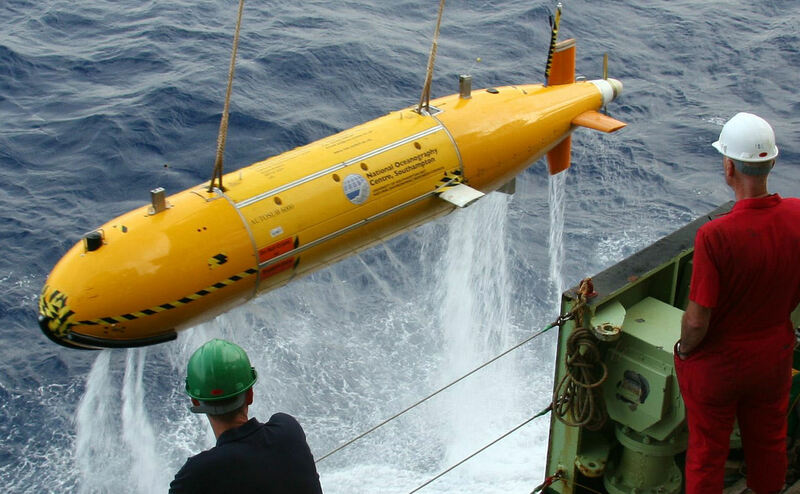 This cruise involved the use of a CTD, the AUV Autosub6000 and a tethered vehicle, HyBIS. Below is a video made by Dr. Jon Copley on the vent fields discovered during JC44. One of the chimneys at Beebe Vent Field. Photo credit: NERC. 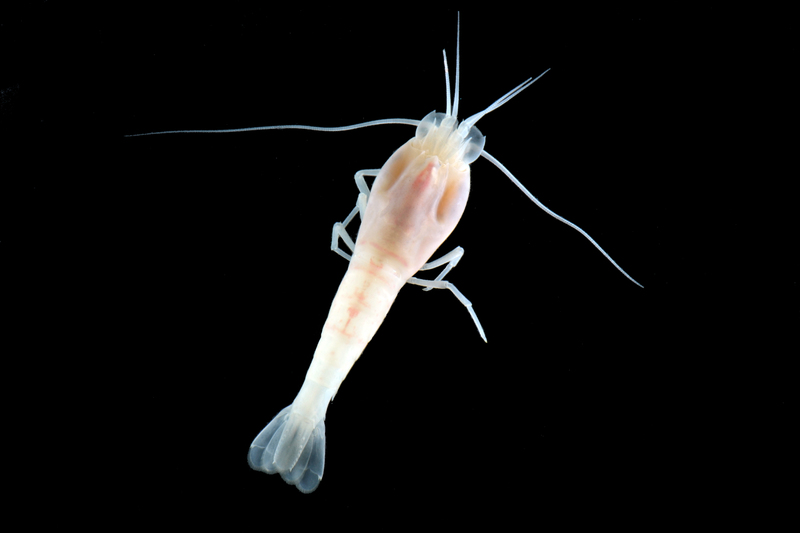 Rimicaris hybisae, a new species of shrimp described from these vents. Photo credit: NERC. 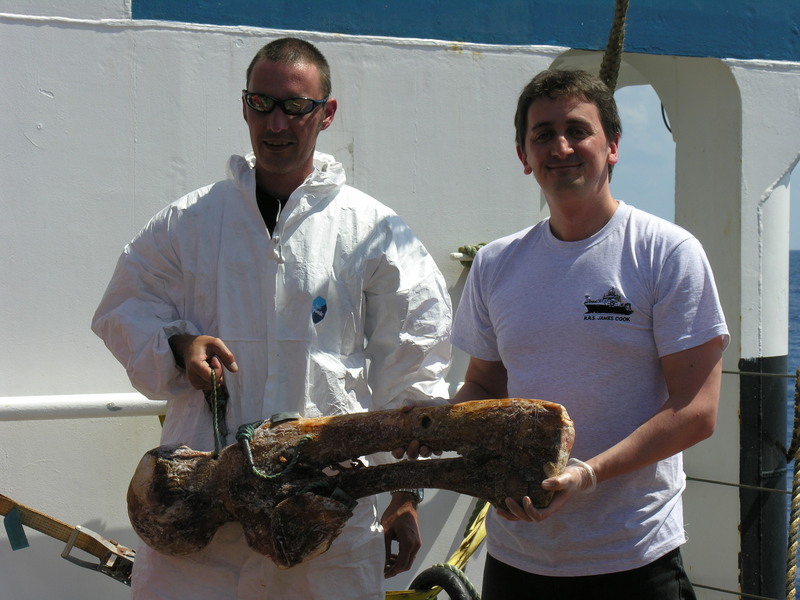 Dr. Jon Copley preparing whale bones for deployment. After a long night shift. Photo credit: Diva Amon. This cruise was unique in that only two scientists went out on the ship. All of the other scientists (including myself) participated via telepresence from the Exploration Command Centre at the Inner Space Centre at the University of Rhode Island. You can find out more about this expedition here. 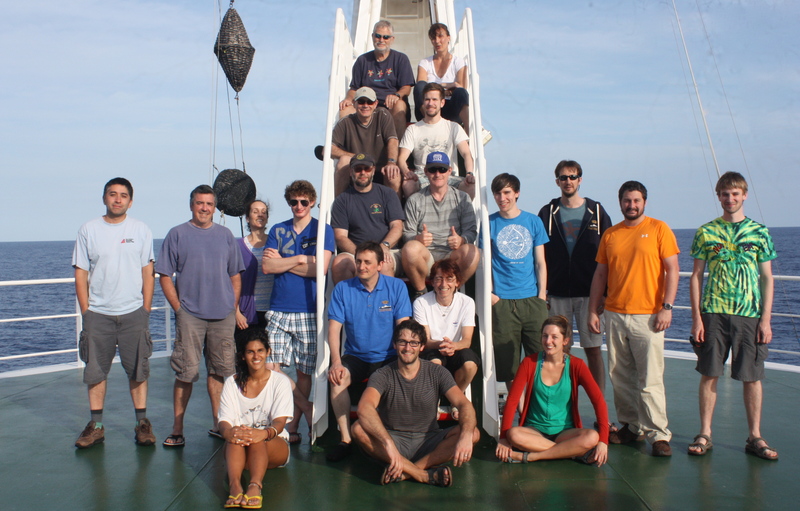 A 5-day research cruise that recovered two moorings with organic-fall (whale bone and wood) experiments and oceanographic instruments deployed in 2010 at the Beebe Vent Field and the Von Damm Vent Field. 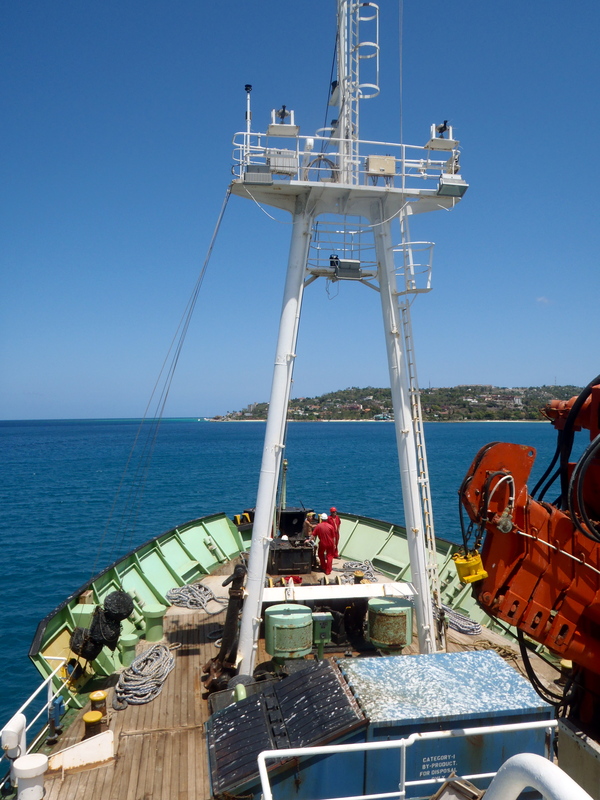 RRS Discovery leaving Montego Bay, Jamaica. Recovery of one of the moorings with whale bones and wood. Dissecting the wood for fauna. Photo credit: Dr. Adrian Glover. 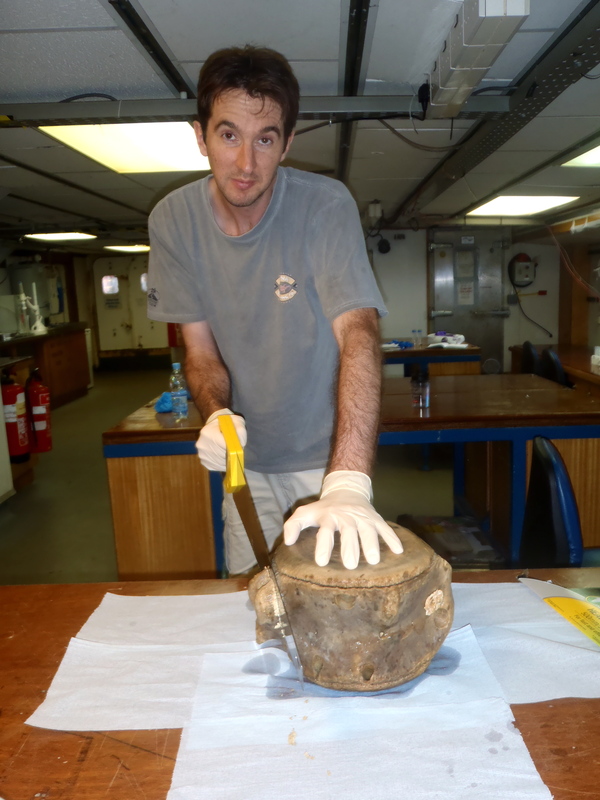 Dr. Adrian Glover sampling the whale bone. Photo credit: Diva Amon. Examining animals found living on the wood. Photo credit: Dr. Adrian Glover. 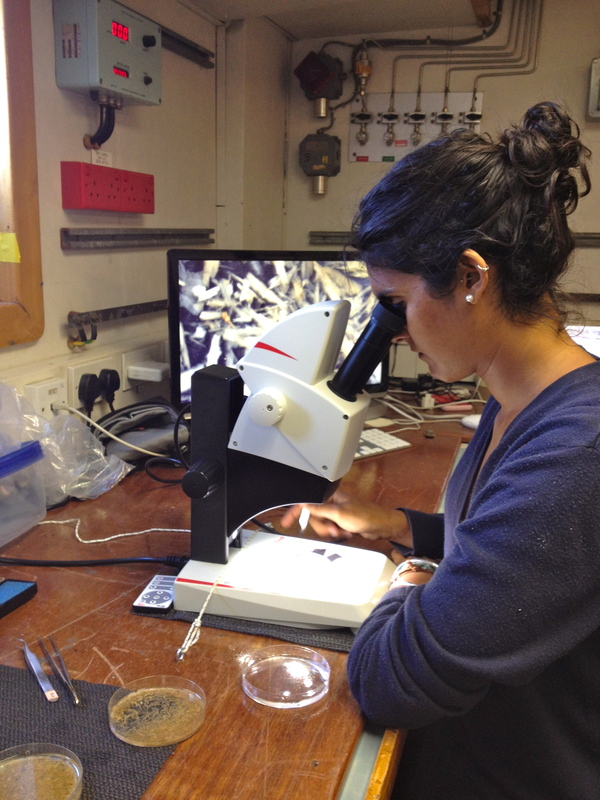 A 21-day research cruise that returned to characterise the biology, geology and chemistry of the Beebe and Von Damm hydrothermal vents discovered in 2010. During this expedition, we also spontaneously deployed two pig carcasses, Petunia and Princess, to see what animals they would attract. 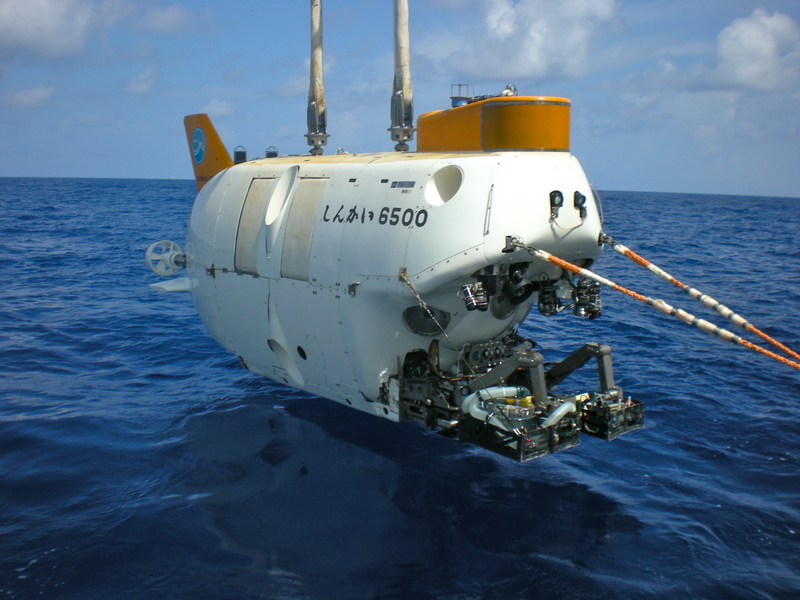 This involved the use of a CTD and the ROV Isis. You can find out more about this cruise here. The below video, made by Dr. Adrian Glover, also shows the vent fields and the amazing animals that live there. 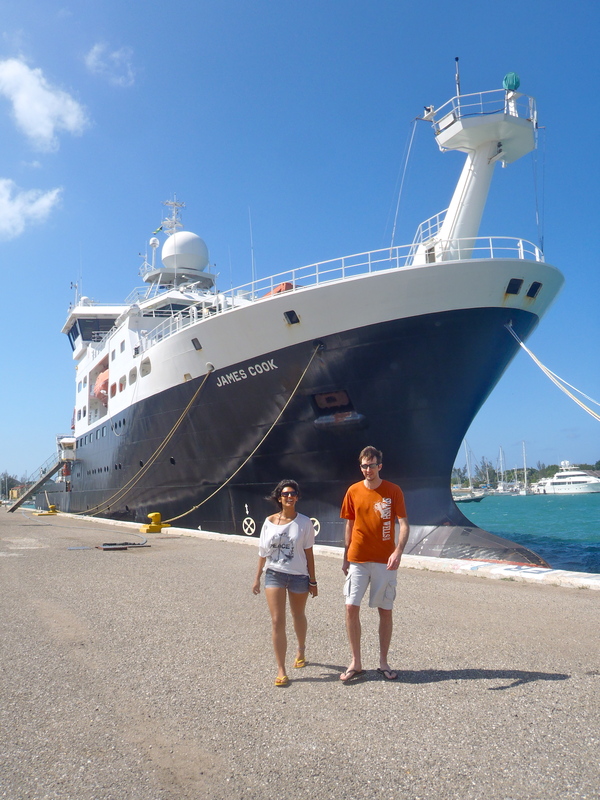 Dr. Adrian Glover and I in front of the RRS James Cook. 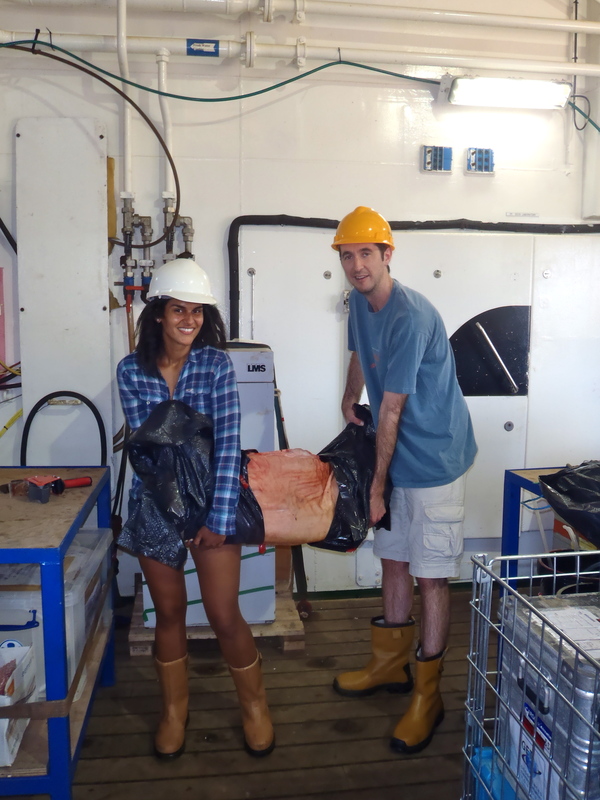 Dr. Adrian Glover and I loading a pig carcass onto the ship. 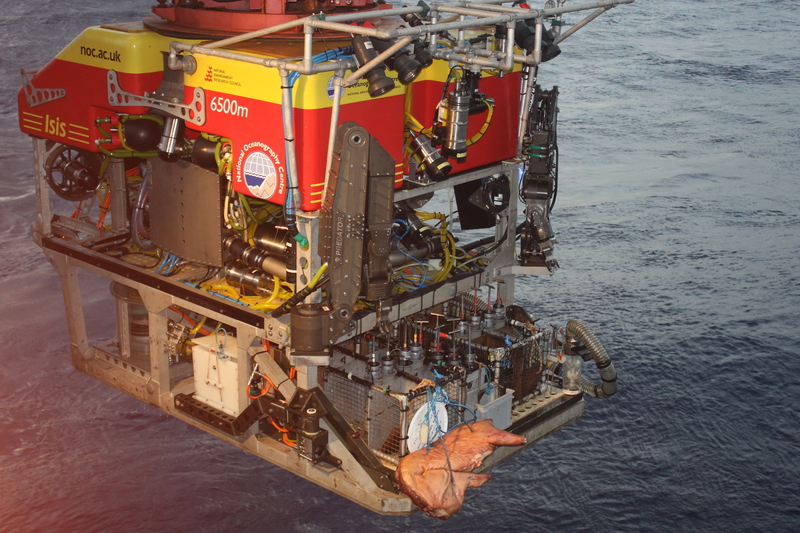 Pig carcass strapped onto ROV Isis. Photo credit: Diva Amon. 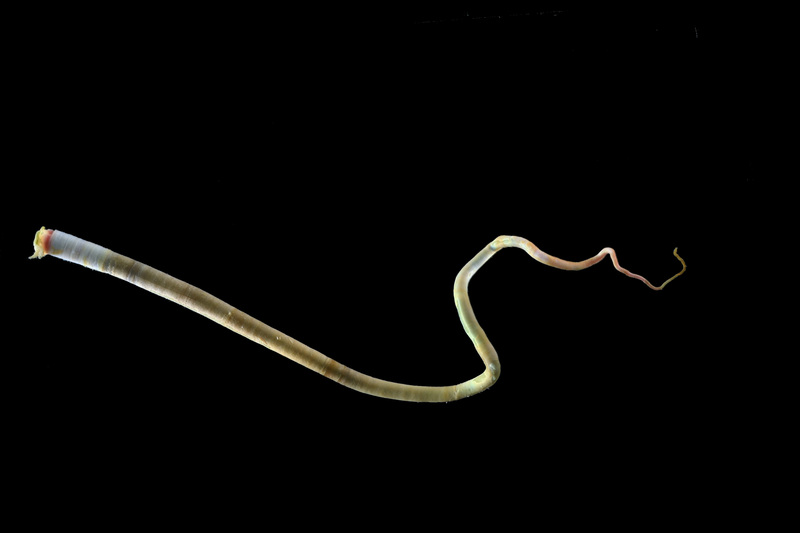 Rimicaris hybisae. Photo credit: Dr. Leigh Marsh. Escarpia tubeworm from Von Damm vents. Photo credit: Dr. Leigh Marsh. 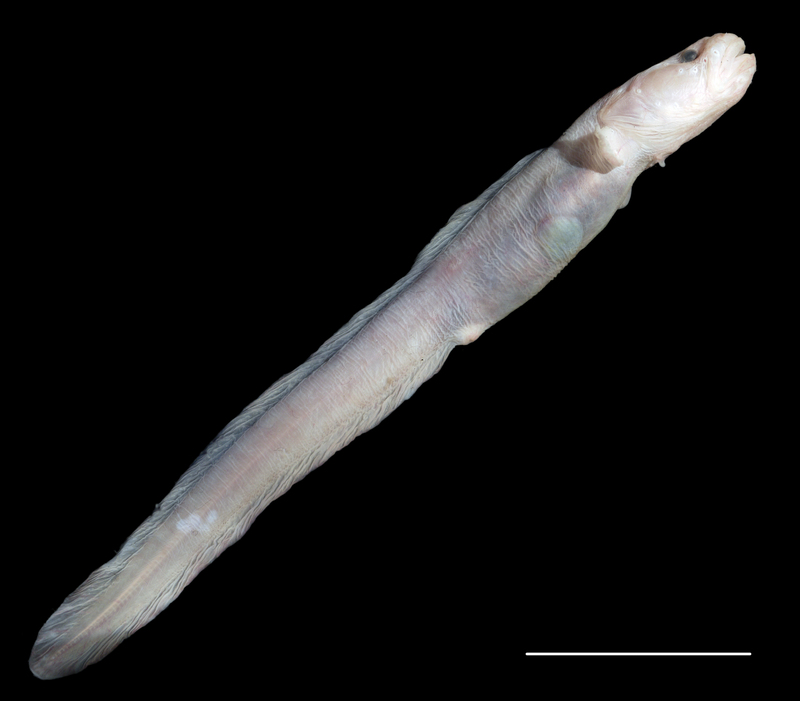 Zoarcidae fish from Von Damm vents. Photo credit: Dr. Adrian Glover. Lamellibrachia tubeworm from Von Damm vents. Photo credit: Dr. Adrian Glover. 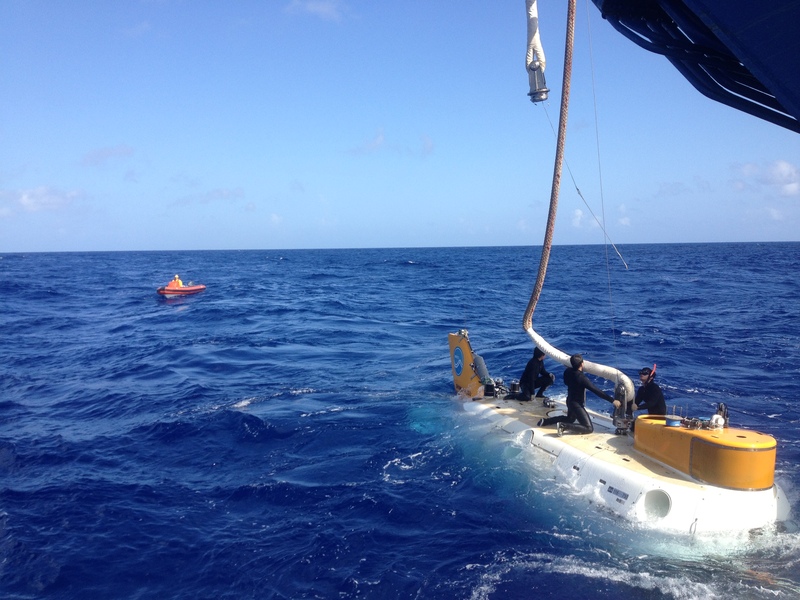 Three British scientists were invited on this 17-day cruise led by Professor Ken Takai of the Japan Agency for Marine-Earth Science and Technology (JAMSTEC). 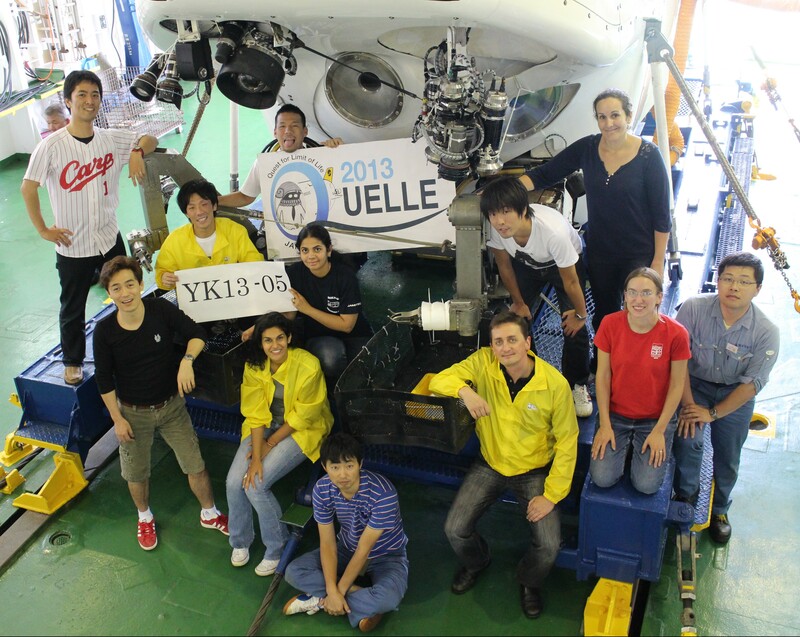 JAMSTEC scientists were investigating the Beebe and Von Damm vents with the Shinkai6500 manned submersible as part of the Quest for the Limit of Life 2013 (QUELLE) program. 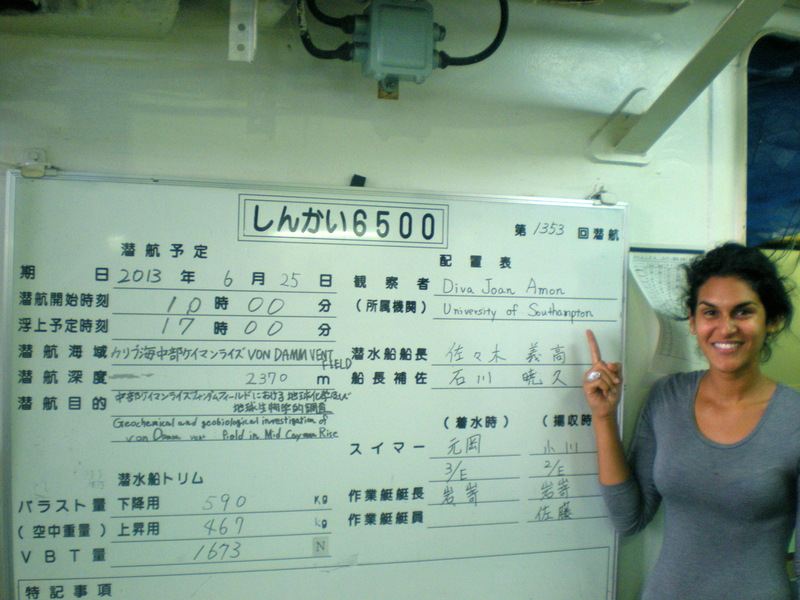 This was one of the best cruises I have ever taken part in; namely for the cultural experience, the hospitality by the Japanese scientists, and I GOT TO DIVE IN SHINKAI6500 TO THE VON DAMM VENTS AT 2400M DEPTH. 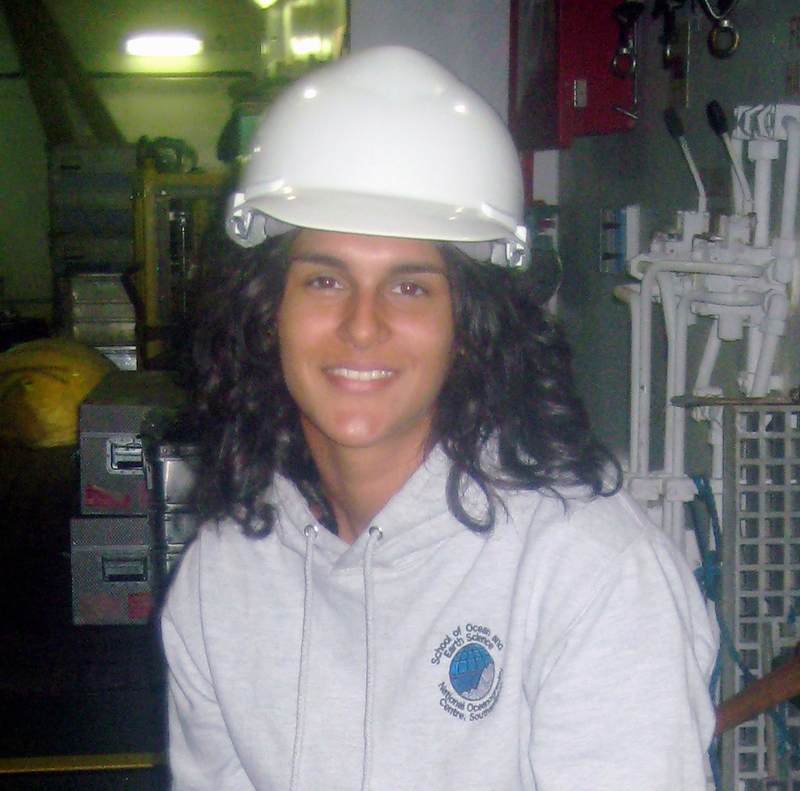 I recovered the bones of Petunia the pig (deployed on JC82) during my dive. Below is a video made by Dr. Jon Copley featuring all three dives by British scientists during this expedition. 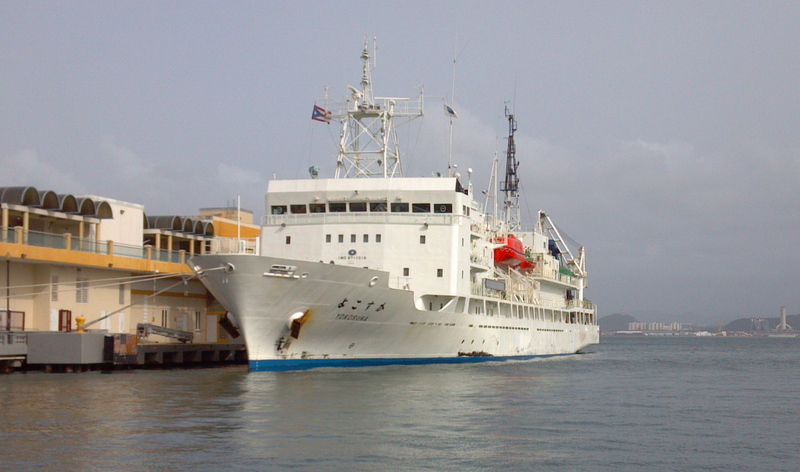 R/V Yokosuka docked in Puerto Rico. Photo credit: Diva Amon. Japanese toilets have remotes!!! Photo credit: Diva Amon. 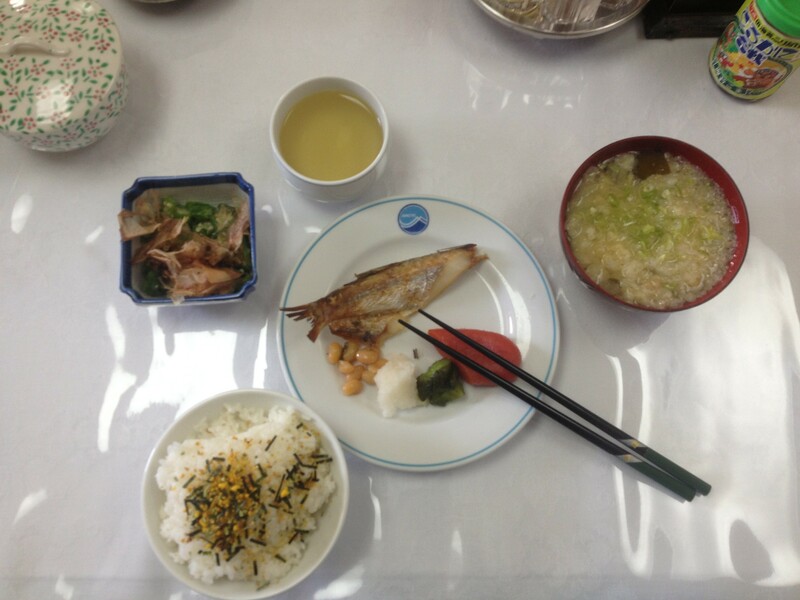 ach meal was as beautifully prepared as this one! Photo credit: Diva Amon. 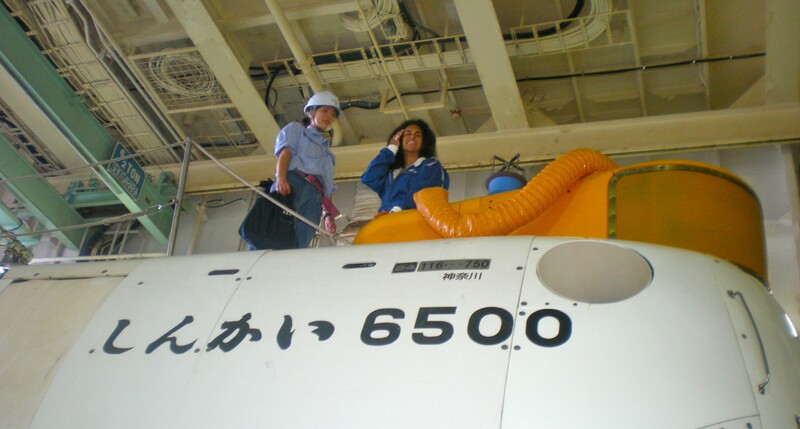 Divers detatching the HOV Shinkai6500. Photo credit: Diva Amon. That’s my dive on the board! Excited as I get into the Shinkai6500. Photo credit: Dr. Jon Copley. 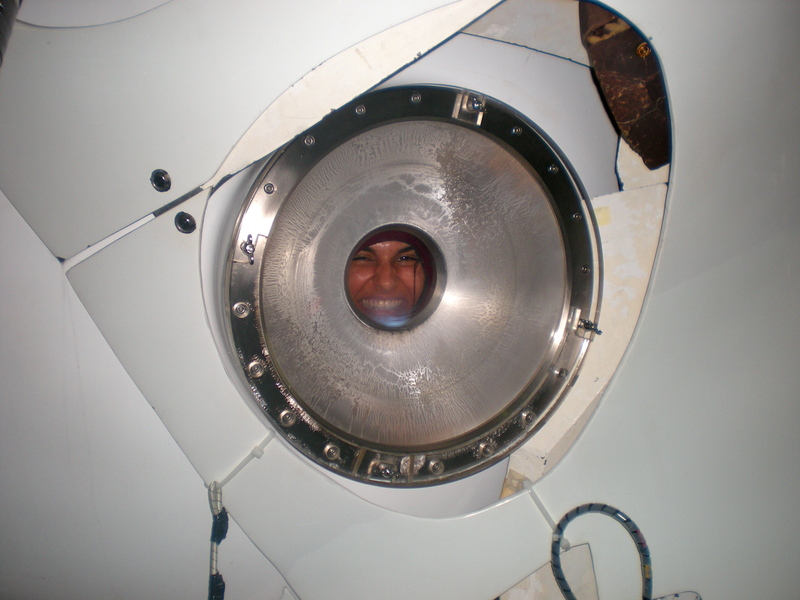 Even more excited inside the Shinkai6500! Photo credit: Dr. Verity Nye. 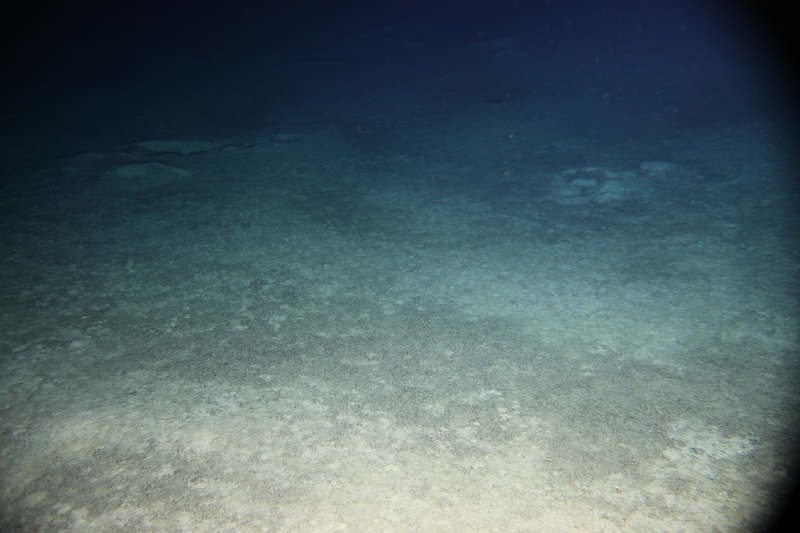 The seafloor we touched down on. Photo credit: Diva Amon. 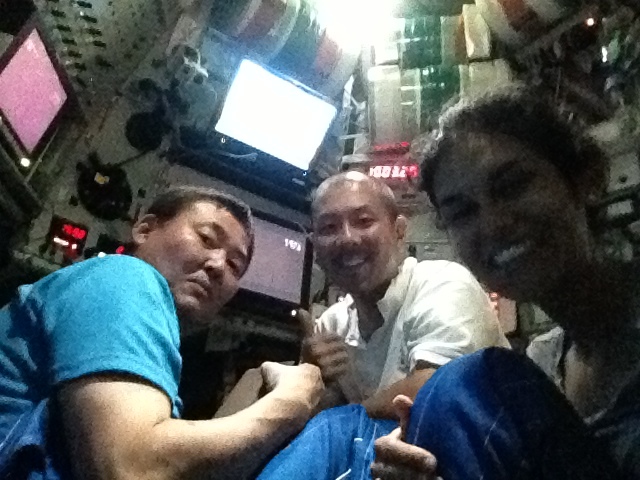 The pilots and I sneaking a cheeky selfie! Photo credit: Diva Amon. A bit sore but back in one piece! Photo credit: Dr. Verity Nye. 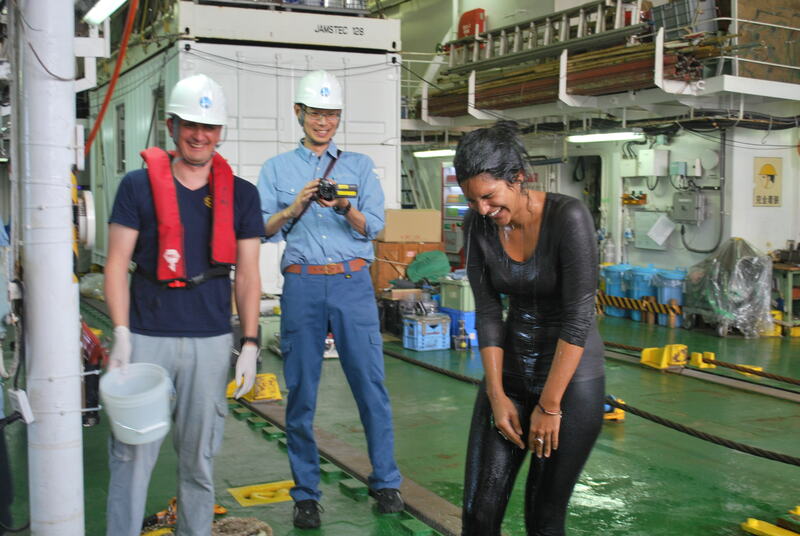 t’s tradition: After your first submersible dive, you have to get soaked by ice-cold water. Photo credit: Verity Nye. 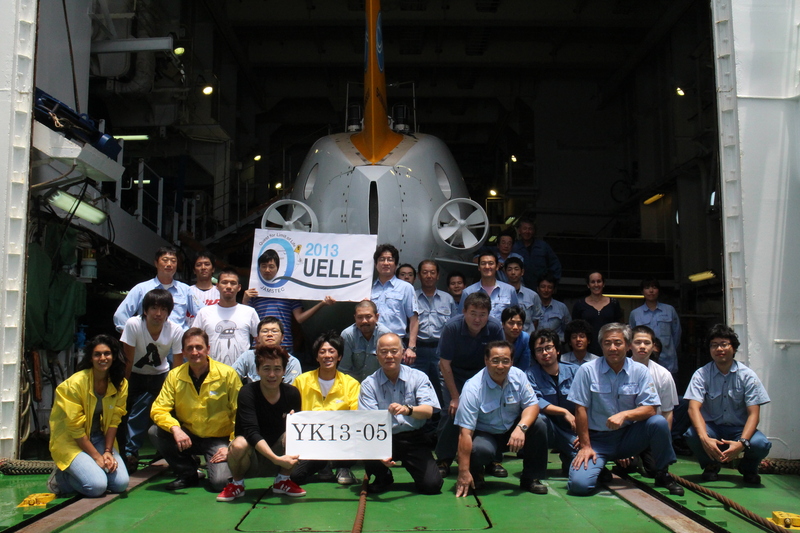 he scientists and crew of YK13-05. The scientists with the Shinkai6500.